My grandfather has clocked eighty three and he is still on the road. Despite his age he still goes long journeys with ease. He can ably drive both during day and at night. It is universally believed that when one advances in age, their ability to drive goes down. Does this make my grandfather an exception? More and more older drivers are on the roads these days. It’s important to know that getting older doesn’t automatically turn people into bad drivers. Many old people continue to be good and safe drivers as they age. But there are changes that can affect driving skills as we age and this is a fact. 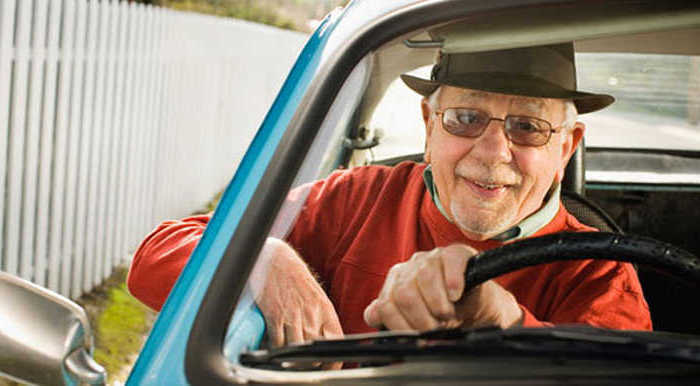 For many people, driving is a key aspect of maintaining their independence as they age. But it’s normal for our driving abilities to change as we get older. By reducing risk factors and incorporating safe driving practices, you may be able to continue driving safely long into your senior years. Even if you find that you need to reduce your driving or give up the keys, it doesn’t mean the end of your independence. Seeking alternative methods of transportation can offer health and social benefits, as well as a welcome change of pace to life. May be this is what our senior citizens ought to know. Research shows that older adults are more likely to receive traffic citations and get into accidents than younger drivers. What exactly causes this increase? As we age, factors such as decreased vision, impaired hearing, slowed motor reflexes, and worsening health conditions can become a problem. Aging also tends to result in a reduction of strength, coordination, and flexibility, which can impact your ability to safely control a car. It is okay to prolong your stay behind the wheel but it is important that you take some cautions first. You need to schedule periodic eye exams, update prescription glasses, increase the brightness on the vehicle’s instrument panel, keep the windshield and headlights clean, and replace faulty windshield wipers. It may also be important that you choose a car with automatic transmission, power steering, power brakes, and an easy-to-read instrument panel. Aged drivers need to reduce noise and distractions such as conversations and radio. At advanced age avoid driving in inclement weather and check traffic when changing lanes. It is always important to plan ahead by taking easier routes, avoiding rush hours and avoiding movements at night. Otherwise we love you and we want you alive even at old age. Who’s to blame for rampant Kidnaps and murder of women in Uganda?